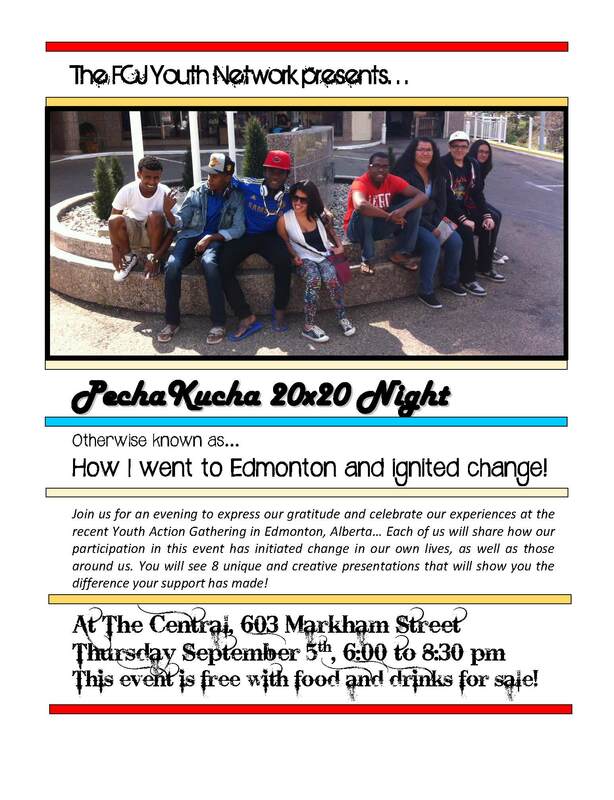 Join us for an evening to express our gratitude and celebrate our experiences at the recent Youth Action Gathering in Edmonton, Alberta… Each of us will share how our participation in this event has initiated change in our own lives, as well as those around us. You will see 8 unique and creative presentations that will show you the difference your support has made! This event is free with food and drinks for sale!